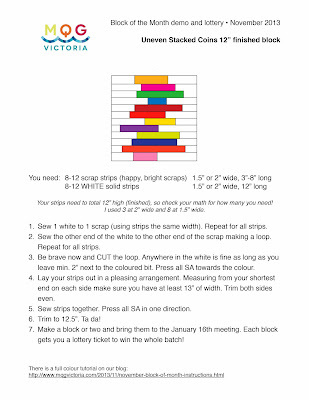 Your strips need to total 12” high (finished), so check your math for how many you need!! I used 3 at 2” wide and 8 at 1.5” wide for this block. Cut them to EITHER 1.5" or 2" wide and square up the ends if necessary. Sort into two piles (1.5" and 2") and count the number of each width. Cut that number of white strips in matching widths. Cut all white strips 12" long. 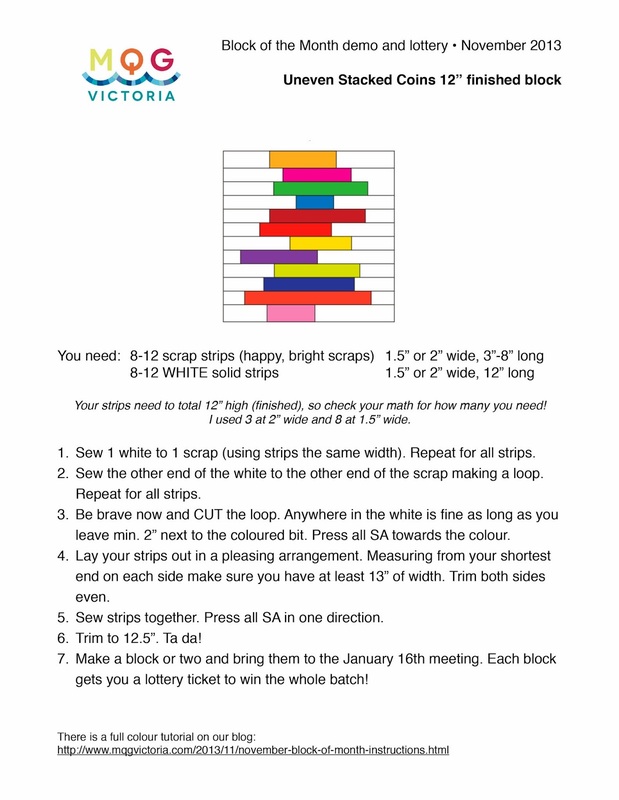 Chain sew one white to each scrap strip and cut them apart. Now sew the other end of the white to the other end of the scrap strip. 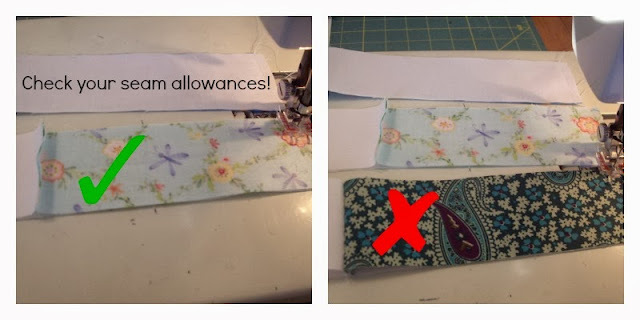 Pay attention to which side your seam allowance is on! You should now have some clever little loops. Grab a pair of scissors (not pictured) and cut the loop apart, cutting anywhere in the white section. Leave at least 2" of white next to the seam allowance. Strips are now 14.5" - 19.5" long. Press all seam allowances towards the colour. Lay out all your strips and tweak them until you like the arrangement. Make sure you have at least 13" of width at the narrowest point. and then on the other. until you have a sewn together block measuring about 12.5" x 13". Press all seam allowances in one direction. Call it done, or make another one. Bring those to the meeting on January 16th and turn each block in for one lottery ticket. Maybe you'll win this time! Too wordy? Too many pictures? done!!! Cant wait to see everyone elses!